David has worked as a Management Consultant and Trainer since 1988. Prior to establishing Opsis, David worked for The Littlewoods Organisation, Bass and was subsequently Head of Management Development and Training for Rolls Royce and Bentley Cars. During his time with Rolls Royce, David set up a structured approach to Leadership Development and Performance Management within the company. David has run the key European Leadership Programmes for companies such as Toyota, Bridgestone, Parker and Levi Strauss and regularly works at Board level with some of the U.K’s. leading companies. 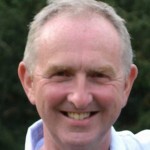 David also designed and runs the Opsis Increasing Organisational Effectiveness programme. David is passionate about ensuring the training that Opsis provides has practical application, in line with the purpose of Opsis i.e ‘To increase the Leadership, Management and Organisational Effectiveness of our clients’.